Which countries extradite their citizens and which don’t? There are some key differences in legal traditions and systems around the world, which are very important to consider in extradition and mutual legal assistance matters involving multiple jurisdictions. The civil law tradition and common law tradition are the two most prevalent legal traditions in the world. The civil law tradition is based on core principles being codified into a referrable system, which serves as the primary source of law. Countries in Europe and Latin America typically follow a civil law tradition, which is the most commonly found legal tradition in the world. The civil law tradition follows the premise that the trial is an ongoing investigation in a search for the truth rather than a competition between two sides. This allows the judge to take all information that is proffered as evidence as part of the continuum of the investigation. As a result of being part of the investigative process, the judge can decide what the relative strength of each piece of evidence is by examining it as part of the investigation. Under the common law tradition, the courts essentially make the law. Common law originated in England and is the second most commonly found legal tradition in the world. Australia and the United States operate under a common law system. The common law tradition “assumes truth will arise from a free and open competition over who has the correct facts. The struggle is between the State on one side and the defendant on the other.” A salient part of the litigation process in adversarial common law traditions is the subjection of all information, both documentary and oral, that is intended for the court to rules of procedure and evidence. Argument and cross-examination regarding the admissibility of evidence are allowed; only after the judge has ruled on its admissibility will evidence be admitted and considered by the judge. What are the different approaches to extradition and mutual assistance? The differences in procedure between the civil law and common law traditions are of particular importance in the mutual legal assistance and extradition process. Where evidence is being gathered as part of the mutual legal assistance process, there are differences in who does the gathering (a magistrate in the civil law tradition or an investigator in the common law tradition) depending on the matter in which it is being gathered: no rules of evidence bar admissibility in the civil law tradition, while multiple evidentiary rules affect all aspects of an investigation in the common law tradition. 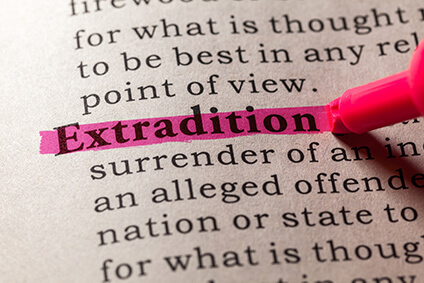 In the extradition process, the challenges are similar, as evidence gathered in one legal tradition must be collated and presented in a form to which a judge from another legal tradition can apply the rules of evidence and procedure. In legal systems based on the common law tradition, the extradition is a bifurcated process, usually involving an initial hearing by a court. If the court grants the extradition request, the case is forwarded to the executive branch of the Government, where the ultimate decision to surrender the fugitive is made. Depending on the State, the decisions of either the court or the executive may be reviewed by a higher court before the issue of surrender is finally decided. Generally speaking, countries which follow the civil law tradition refuse to extradite their own citizens. In some civil law jurisdictions, the decision to extradite may be within the sole purview of the judiciary, with no executive involvement. It is important to note that countries that do not extradite nationals often establish their jurisdiction on the basis of the “active nationality” principle which allows those countries to apply their domestic criminal law to offences committed by their nationals abroad. Varying legal traditions around the world introduce complexities in extradition and mutual legal assistance cases. A mutual understanding of different legal traditions is essential for effective international cooperation in these matters. Nyman Gibson Miralis are experts in all aspects of extradition and mutual legal assistance law. Contact us if you require assistance.